Coming up next will be a spectacular 28 year old Caol Ila. We hope to release this early next year. Something to look forward too! Please keep an eye on our whiskynerds facebook page for updates. The third release in our ‘Trias Usquebaugh’ has arrived!!! Exciting news! 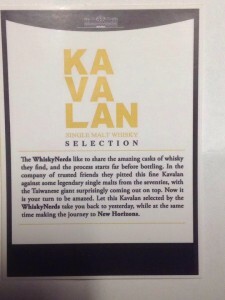 Three new WhiskyNerds bottlings are on the way! We’ve selected two casks of Inchmurrin, a sherry ( ‘Law’) and a bourbon (‘Order’) casks. Both will be available soon as single cask bottlings. To make it interesting we took a part of both casks and married them together which will produce the third bottle (‘Executive’) coming to later in the year! Our third bottling has arrived! A 43 year old Invergordon. A beautiful example of a well aged single grain whisky. We hope you will enjoy it as much as we do! The first bottling for The Whisky Nerds is available!